[The best part of purchasing a Horton emergency vehicle was] the quality of the Horton ambulance and the cooperation with VCI Emergency Vehicle Specialists. They explained everything to us in detail. All of their departments we very cooperative, especially the salesman Paul Hagemann. He is very knowledgeable and gets things done. 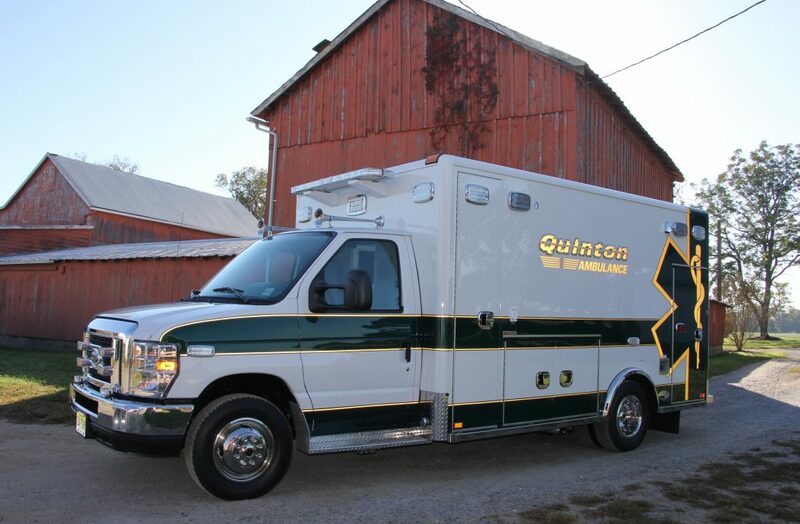 The Quinton Volunteer Ambulance Corps is very happy with this unit. The ride in the front and back of this unit is very smooth, much smoother than anticipated. 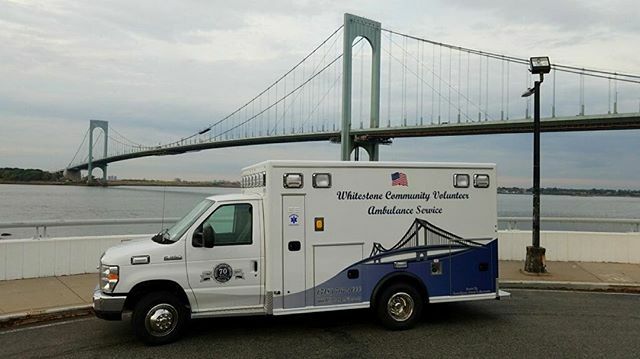 Whitestone Community Ambulance Service, Inc. I have been running the Whitestone Community Ambulance Service for seven years. As with running any business, a volunteer EMS service is a frustrating, difficult, and rewarding adventure. The highlights of running a service should be special events, ceremonies, and new apparatus acquisitions. In 2014, our service received a large donation to fund a new ambulance and the committee that was in charge ordering the ambulance dealt with a company in Long Island. The final product was delivered half a year late, grossly over budget and of low quality workmanship. This should have been one of the highlights of my time as the Captain, but it was absolutely the opposite. The service provided by that company was below mediocre and the ambulance is plagued with problems still. I swore that if we were ever in a position to order a new ambulance, I would personally handle the matter. 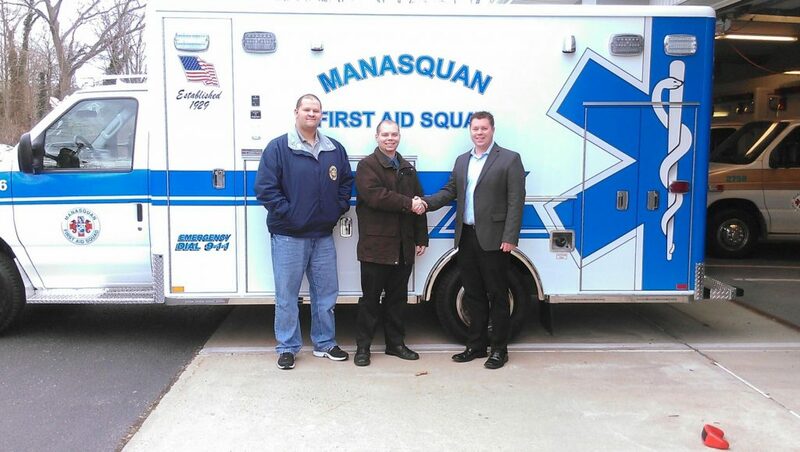 After a few years of efforts, we received funding via a DASNY grant from NYS Assemblyman Braunstein for a new ambulance. We contacted every ambulance dealer that we could find in our region, some were enthusiastic, some were competitive, most just wanted a deposit and contract signed quickly. When we called VCI Emergency Vehicle Specialists we found someone entirely different in Peter Caliendo. Peter was enthusiastic and attentive to our specific needs. He explored pricing on many models available and gave us a real education on ambulances. We ultimately settled on a 2017 Medix RP-90 MR which seemed to be a high quality fleet vehicle, priced well and still customizable. Peter worked with us over several months to customize the ambulance layout prior to even asking to sign a contract or for a deposit and when [we] were ready we signed a contract and gave a small deposit. In the months that followed I received constant updates from Peter and we even made some changes, we worked out custom graphics and we were in constant communication. Dealing with VCI and Peter Caliendo was a pleasure. The ambulance was delivered from the Medix factory right on time and we inspected it at VCI, brought equipment for installation and we ultimately received the best quality ambulance any of us have ever dealt with, with all equipment installed and ready to use. The Medix RP-90 MR may be a fleet vehicle but it looks, feels, and operated like a true custom rig that should cost twice what it did. All of the credit really goes to Peter Caliendo for handling our every need, and all questions and concerns. There were problems with the grant, funding was delayed for almost 3 months and Peter and VCI were very patient, understanding and cooperative. I am certain that we will never buy an ambulance from anyone other than VCI Emergency Vehicle Specialists and we will never deal with anyone other than Peter Caliendo. VCI will now also be handling the maintenance of all of our ambulances from here on forward. Peter Caliendo is more than a salesman, he is a true friend to our service, VCI is now a huge part of our future and Medix is now the only brand of ambulance for us. — Charles Silverstein, Captain & Chief Operations Officer, Whitestone Community Ambulance Service, Inc.
How you feel about the products and services we offer? There’s a reason that Lakeland EMS has been exclusively buying Horton products for the past 25 years – the overall quality and dependability of the Horton brand, matched with top-notch service we get from the VCI team! A true partner in helping us deliver outstanding service to our patients, VCI helps keep our fleet at its best and is always willing to go the extra mile to meet and exceed our needs. How do you feel about your new or remounted vehicle? Remounting our 2003 model year Horton 523 “van” chassis ambulances onto two new 4×4 “truck” chassis was no small tasks. 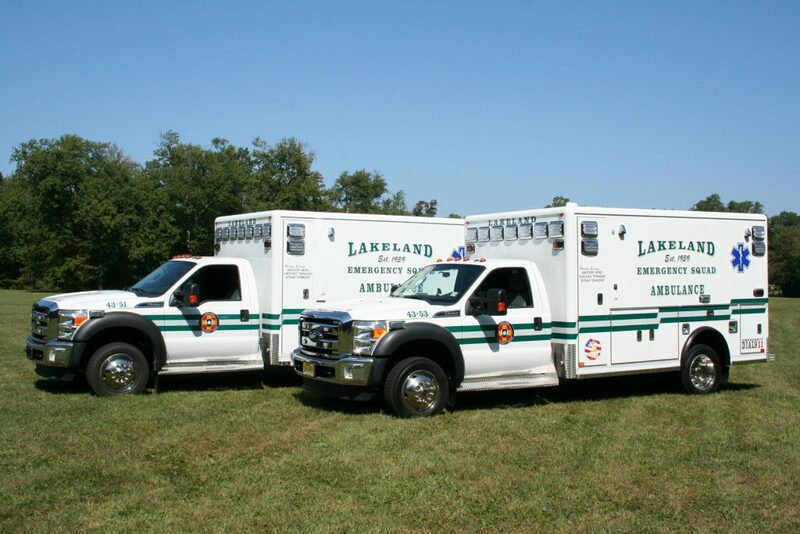 Lakeland has never done a remount project before this and there were certainly a good deal of questions from both sides as to what could be done given the CA ratio differences of a van-built ambulance module moving to a truck chassis. Custom was the name of the game and our every expectation was blown out of the water with the finished product while staying as close to our budget as possible. We’re already looking forward to the remount project for our 2009 Horton 553s in a few years! How was your experience working with our staff? From the Sales Team to Graphics, Remount Leads to Office Staff, the VCI family is second to none when it comes to customer service. The entire process was simplified because of the dedication and hard work of the folks at VCI. Would you recommend VCI to others? If so, why? I’ve managed Lakeland’s relationship with VCI for 2/3 of the 15 or so years we’ve done business together. They would be the ONLY shop I would trust to undertake our first remount project with, and when the decision about an industry-first OEM frame modification came to fruition, of course we were all-in because the VCI team stood behind the idea 100%. When other squads ask how this project went remounting half of our fleet at once, I share the following story with them. Not only did VCI give us twin loaners, but anytime we had any minor problem with one of them, the team was at the ready to help. When change orders came down for the remounts, they were handled with ease by VCI. When we did the on-site final inspection for the first truck, Chris and Jeff were there with us tossing around ideas for finishing touches to make the trucks the best they could be. When it came time for the paperwork, Kim was more than gracious to hop on a Friday afternoon call with one of our purchasing municipalities to help them through their questions. From beginning to end, the team at VCI stands above the rest in every category! “We are extremely satisfied with our new Horton ambulance from VCI. We received outstanding customer service from our sales representative, Jeff Herzog, and owners, Rich and Robert Bohny. We were exceptionally impressed with their ‘family’ approach throughout the entire purchasing process. We actually felt like part of the VCI family. The biggest selling point with the Horton ambulance was their safety testing, which they pride themselves on and the safety features they offer to better protect the EMT’s and patient. We were sold after the first test drive and the rest was a bonus. We truly had a great experience working with VCI/Horton from start to finish and we hope to continue to work with them for all of our future purchases. Thank you Jeff, Rich, Bob, and the entire VCI/Horton TEAM. You all truly made this an enjoyable experience.